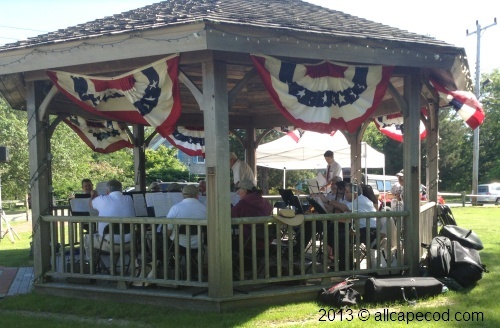 alongCapeCod: Cape Cod & Islands - Summertime and the livin' is easy! Cape Cod & Islands - Summertime and the livin' is easy! The calendar reads August, but don't despair. It's not too late to plan a Cape Cod family vacation or stay-cation. There are still a few weeks of summer with good weather and lots to do! August is a great month to be outdoors! Cape Cod is known for it's wonderful beaches - pack a cooler, your sunscreen, boogie board, a sun umbrella, some blankets and beach chairs and head for the beach! In additional to the best beaches on Cape Cod, the Cape Cod National Seashore, stretching from Eastham to Provincetown, has several walking trails and bike paths, for those who have had enough beach time. The Wellfleet Bay Wildlife Sanctuary consists of woodlands, salt marsh, barrier beach and heath lands. Its 5 miles of scenic trails wind through the habitats of a wide variety of wildlife, including songbirds and shorebirds. Visit Mass Audobon Wellfleet Bay web page for visitor information. Other Mass Audubon Cape Cod & Island sanctuaries are located in Barnstable, East Falmouth, Wareham, Vineyard Haven, and Nantucket. Last, but certainly not least, check out our list of Cape Cod Hiking Trails. In the event of rain, or too much sun, nature centers and museums have scheduled many special activities during the summer months. 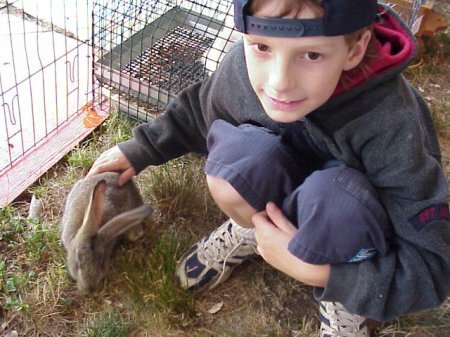 Offering kid friendly nature programs year round in East Sandwich, Green Briar Nature Center has outdoor and indoor programs for families and school aged children - learn about nature and Old-Time Candy Making! The Cape Cod Museum of Natural History's 2014 season, "Ocean Waves of Nature", spotlighs the world under the sea! The "Underwater Art Room" is open daily, with different programs all week long. The Cape Cod Children's Museum with lots of hands on activities is sure to please the pre-school crowd! The Cape Cod National Seashore's Salt Pond Visitor Center in Eastham offers something for everyone (completely free of charge!) - short hiking trails, a comprehensive museum, and an indoor theater showing 5 short films daily on a rotating schedule. Or "check out" the library for free events -story hours, concerts, lectures, arts & crafts, and more -take home videos, games, and good books. Go Bowling! Go to the movies or take in a show! 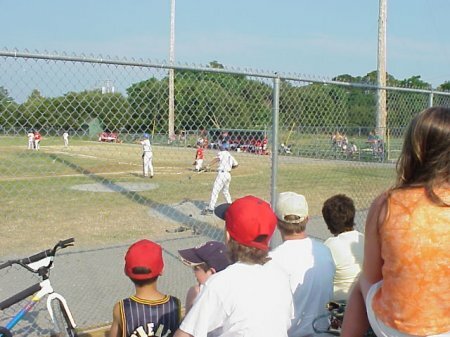 The Cape Cod Baseball League, now its 130th season, provides fans with competitive baseball entertainment. Cape League has 10 different teams, consisting of the country's top college players, with park in towns that spread from Bourne to Orleans. Those lucky enough to be staying on Martha's Vineyard will want to catch a Martha's Vineyard Sharks' home game in Edgartown. 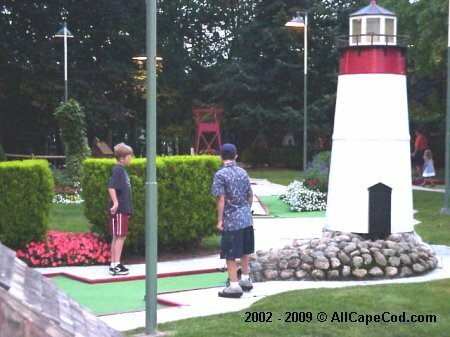 Mini-golf is always a big hit with kids of all ages, and Cape Cod has its share of miniature golf courses! Looking for a place to stay, visit our Cape Cod Lodging Directory for a listing of cottages, hotels, motels, camp grounds, bed & breakfast and even some pet friendly options.